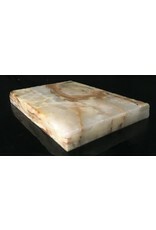 This stone is 6lbs and 9x6x1. 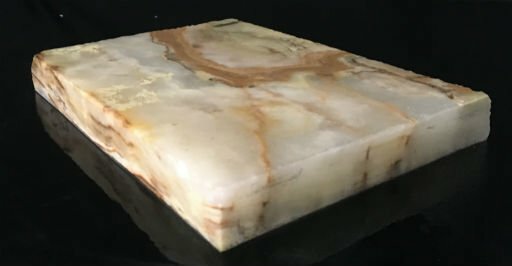 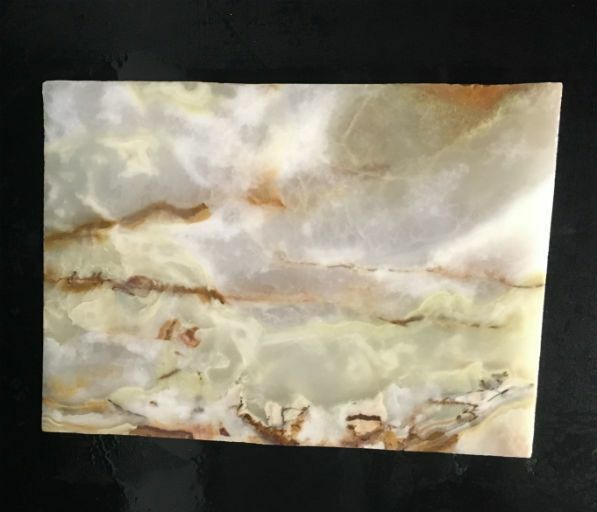 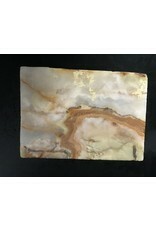 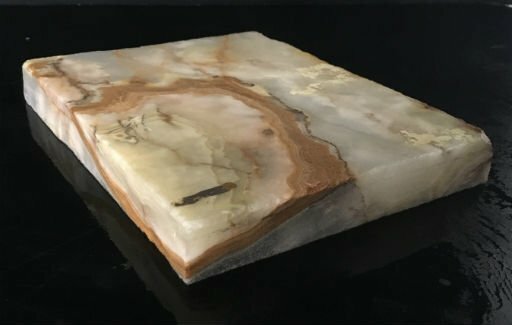 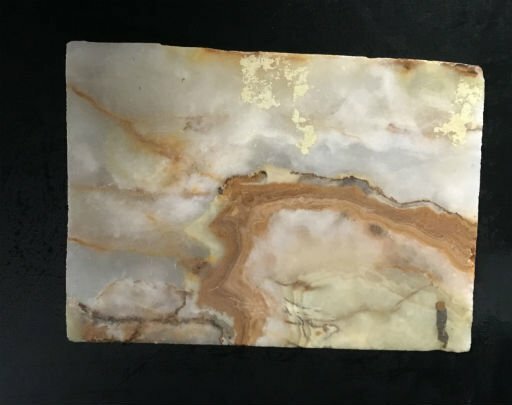 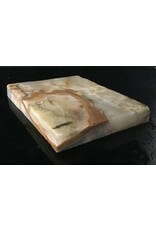 This stone is a thin rectangular slab, with flat smooth sides. 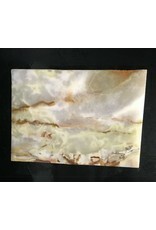 The coloring is a pearl white, with rusts, oranges and browns.